Logitech G903 Wireless Gaming Mouse w/ Powerplay Review | Nerd Much? The best wireless gaming mouse. Period. Last April, Logitech made a valiant effort to sway the nay-sayers about the viability of wireless gaming mice with the release of the Logitech G900 Chaos Spectrum mouse. And since last April, I’ve been using the G900 for ALL of my PC gaming because, yes, it really works that well. It uses ultra low latency wireless Lightspeed technology that actually outperforms many wired mice when it comes to latency, and that’s a claim that we found to be true in our extensive testing. But I did have a bone to pick with the G900, and it’s one that actually had nothing to do with the wireless performance, itself. Instead, my big issue was that I kept having to plug it in every couple of days to let it charge, and that meant making room on my messy desk for yet another cable. What’s more, I would reduce the LED lighting effects on the mouse to lengthen my battery life so that I wouldn’t have to plug it in as much. 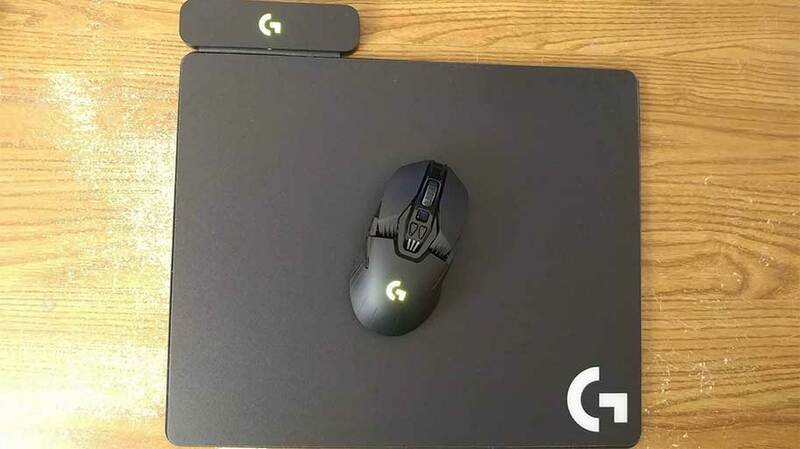 Now, Logitech has introduced the solution to that problem, and it’s not only a slight update to the G900 model in the form of the G903, but it’s also what’s called the Powerplay mat. With the Powerplay system, Logitech claims to entirely eliminate the necessity of ever plugging in the mouse itself, as it charges wirelessly when on the Powerplay. It uses an electromagnetic field to do so, which Logitech itself admits isn’t a new technology by any means, but it’s unique when applied to the PC peripheral space. But, how well does it actually work in practice? 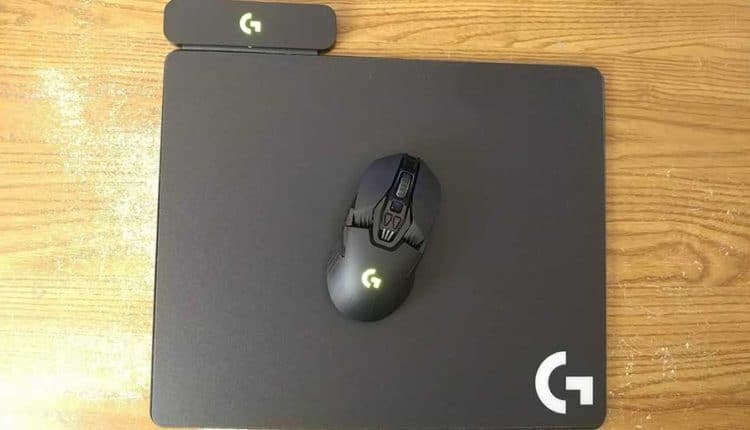 I’ve been testing the Logitech G903 and Powerplay mat for the past week and a half, and I’m here to say that it works exactly how Logitech describes it; it really does entirely eliminate the need to ever plug the mouse, itself, in. 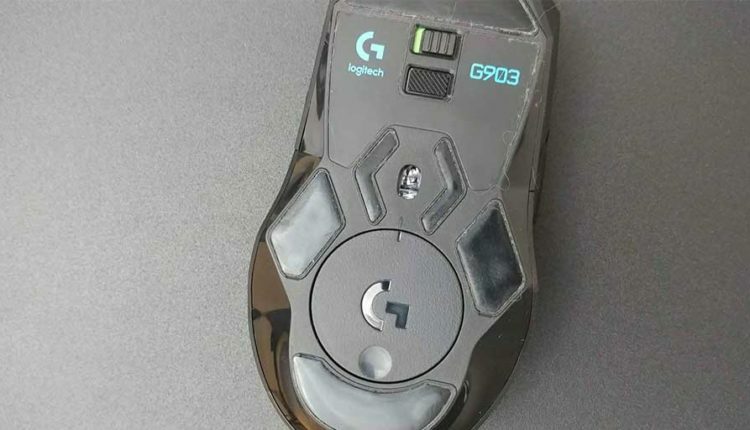 The G903 isn’t much different than the G900 in its actual design, aside from the on/off switch being moved to the top of the back of the mouse and the addition of a round battery that’s housed in the bottom. This addition of the battery surprisingly doesn’t add much weight to the G903, which now weighs 4.0 ounces in comparison to the G900’s 3.8 ounces — hardly noticeable. The only other physical change is that the G900’s gunmetal gray accents have been removed and replaced with an all-black look for the G903. 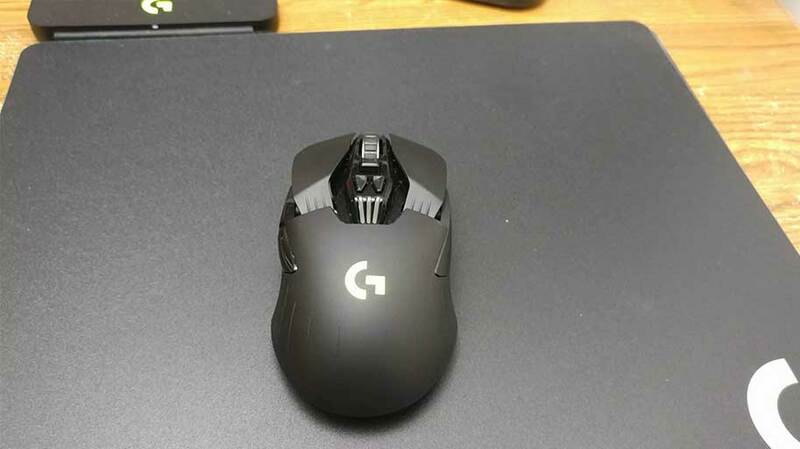 This means that the G903 still sports a symmetrical design, meaning it’ll feel great whether you’re a lefty or righty. And, there are a few different layouts you can achieve with its ambidextrous design, including the addition of up to four extra side buttons (two on each side), or just two on either side, or none. All of these mouse buttons are easily configured in the Logitech Gaming Software suite via your desktop, and the software will help you not only tweak these buttons and what they actually do but also your mouse’s LED lighting. With the software, you’re also able to adjust the DPI sensitivity. You can have up to five different DPI levels that you switch with the simple click of the DPI Down/DPI up buttons that are on top of the mouse, and the DPI can be set anywhere from 200 to 12,000. Personally, I use just three different DPI settings in a day, one set at 2,200 for my everyday browsing, another set at 6,000 for the majority of my gaming, and another set at 3,000 for when I decide to use a sniper like Hanzo or Widowmaker. 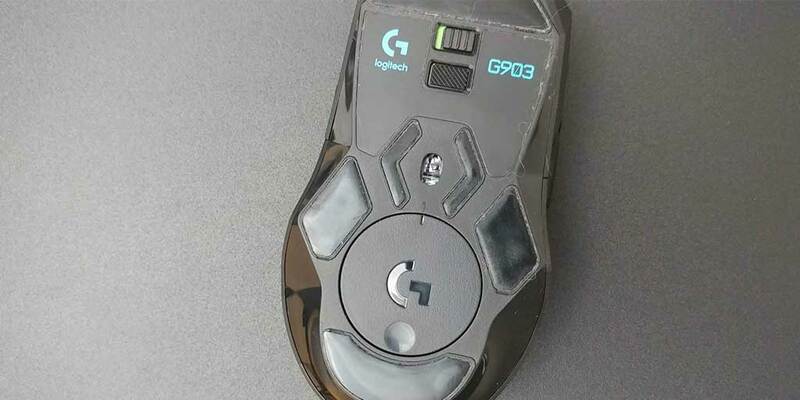 It’s all about your preferences, and with the G903, you’re able to switch these DPIs on the fly without having to even pick up the mouse and flip a switch or jump into the software. Another appreciated feature of the G903 is that it has an unlockable scroll wheel. The locked scroll wheel mode allows you to feel every notch, and it’s set so that it’s neither too easy nor too difficult to scroll with. The unlocked scroll wheel mode gives you the ability to set that scroll wheel free, scrolling at your leisure without feeling the different notches. This means that the G903 is great for both work and play, as you can use it to switch between guns or scroll all the way down to the bottom of a web page with ease. But how well does the G903 actually work with the Powerplay system? Flawlessly — yes, really. 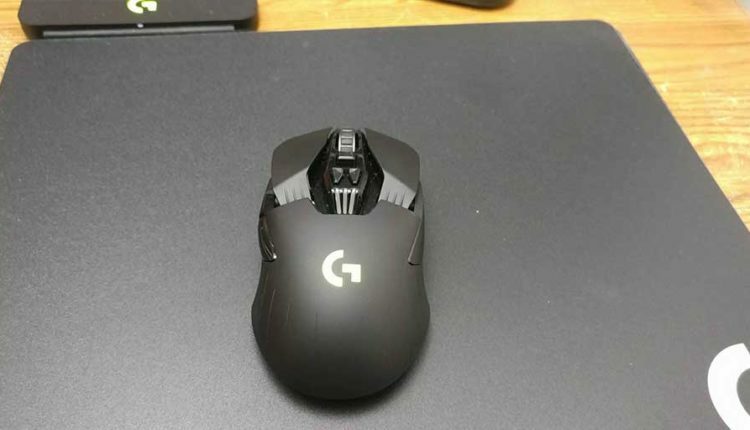 You’ll plug in the Powerplay system, which uses the same micro USB plug as the G903 (and, for the record, the same as the G900 as well), and simply place the G903 on the mouse pad, and it immediately starts charging. What’s more, it stops charging on its own when full, and then once the mouse drops to a certain point, it’ll begin charging on its own again. Literally, you’ll never have to plug your mouse in again, unless you’re traveling and don’t want to bring the Powerplay mouse pad with you. I do have a small — very small — gripe with the Powerplay, and that’s simply the fact that the software doesn’t allow you to change its small LED light on its own. Instead, you’d have to sync the lighting effects with your G903. Clearly not a deal-breaker, and I’d imagine that Logitech just might add in that functionality to the software soon enough. Of course, how much are you willing to pay to simply eliminate the necessity to ever plug in your mouse? The G903 and Powerplay combo won’t come cheaply, with the G903 running for $125 on Amazon and the Powerplay running for $99.99. For those keeping score at home, that brings a total of $224 out of your wallet for a wireless mouse and wireless charging system. Admittedly, it’s a tough sell, but with the mouse being the best wireless mouse on the market, and the charging system allowing you to keep it entirely wireless at all times, it feels like a good option for your Christmas list this year. Logitech provided review units for our G903 review and the Powerplay system.